The financial plan that Geithner is expected to detail Tuesday will spell out how the administration intends to loosen credit by using the unspent money in a $700 billion bailout fund for banks and other financial institutions. WASHINGTON — A Treasury Department official says Treasury Secretary Timothy Geithner will unveil the Obama administration's new framework to aid the financial sector on Tuesday. 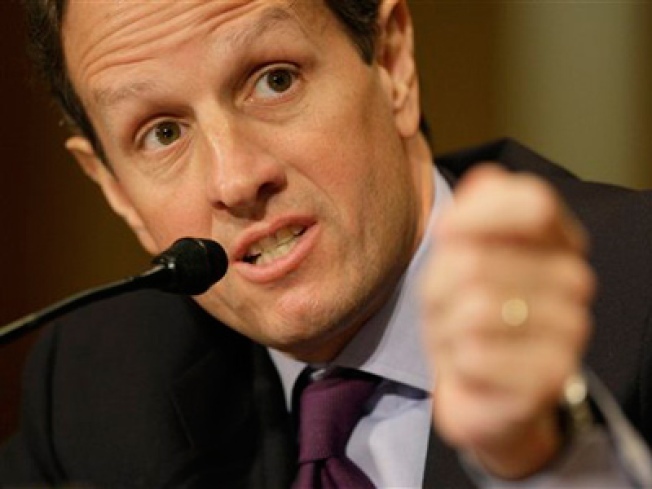 Geithner had been scheduled to announce the plan Monday. Treasury spokesman Isaac Baker said Sunday that the administration wants to spend Monday focused on the Senate's effort to pass an economic recovery package. The Senate is expected to pass the $827 billion stimulus bill on Tuesday. The administration still faces difficulties reconciling the Senate bill and the House version that passed earlier.